Historic Win for LGBT Equality! US Supreme Court Strikes Down DOMA & Restores Marriage Equality in CA: What Does this Mean? We know folks will have a lot of questions about the rulings and what they mean for LGBT couples in Washington. 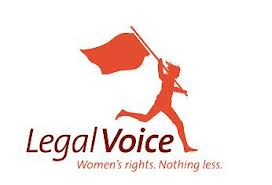 So please join Legal Voice next Tuesday, July 2 for a noontime discussion of the decisions. Panelists will include Legal Voice staff attorney David Ward and attorneys from the Skellenger Bender law firm. At Solutions 2013, our national conference on state and local housing policy, you’ll have access to a wealth of workshops that will help you increase your effectiveness as a housing practitioner and advocate. Register here. How can we bring our neighborhoods back from the housing crisis? How can communities create and sustain affordable living options in areas of opportunity for a wide range of households? How does stable, affordable housing help support other important social goals? How can small organizations communicate effectively and strategically about the need for and benefits of affordable housing? Provender Alliance, which began in 1977, is a non-profit membership organization providing networking, outreach, and education to natural foods and related companies doing business in the Northwest. The Annual Provender Conference provides a fun, cooperative atmosphere for members to teach and learn from each other and to network about the heart & soul and nuts & bolts of natural products business in a nontrade show setting. Scholarships and work exchanges available for interested studetents. For more info click here. Equal Justice Works has just been awarded an AmeriCorps grant for the next three years to implement the Veterans Legal Corps – 40 lawyers and 360 law student positions (2014 Summer Corps program) in nonprofit organizations around the country. The 40 postgraduate positions will be announced on a rolling basis on their website over the next few months. The application for the 2014 Equal Justice Works Fellowships will be open from July 8 to September 17, 2013. They will be hosting a webinar on “Creating a Successful Equal Justice Works Fellowship Application” on Thursday, July 11 at 4:30 p.m. PST. Don’t miss out! Register here. US government submits Periodic ICERD Report to the U.N. Committee on the Elimination of Racial Discrimination (CERD), which oversees compliance with the International Convention on the Elimination of All Forms of Racial Discrimination (ICERD), which the U.S. ratified in 1994. To see the full report please click here. 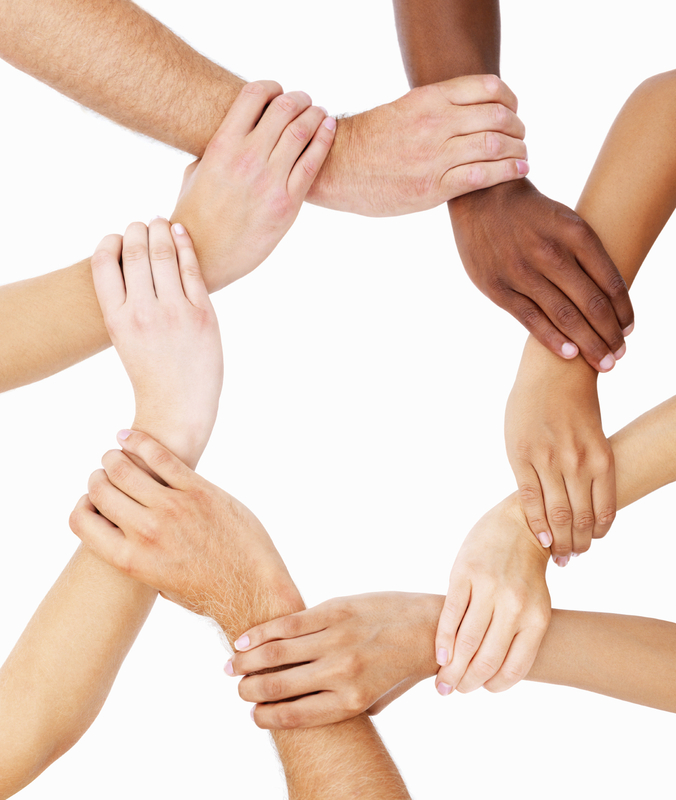 For information on the shadow reporting process and other ways to use the human rights framework for racial justice initiatives check out the US Human Rights Network here. The Black Women’s Truth and Reconciliation Commission is a bold, innovative and groundbreaking human rights campaign. The BWTRC is a civil society launched and led, independent, democratically selected body seeking truth and healing transformation for Black women across three generations devastated by sexual assault from 1946 to the present. The BWTRC’s mandate is to examine the history, context, multi-generational sequence and consequence of sexual assault on Black women for the purpose of acknowledgment, healing and transformation for survivors and their communities; and for engagement in new and effective responses through targeted, relevant processes around accountability and policy advocacy. The Washington, DC Office of the Indian Law Resource Center is seeking legal interns for the fall of 2013. Knowledge of international law and/or federal Indian law in the U.S. is preferred but not required. Spanish language skills are also preferred but not required. Internships are available for all levels of experience, from law students to practicing professionals. Please note that all internships are unpaid. We are flexible in terms of interns’ time commitment. Interns will assist staff with one or more legal projects, such as these current projects: multilateral development banks; protecting indigenous rights in climate policies; draft American Declaration on the Rights of Indigenous Peoples; strengthening indigenous rights in the Inter-American human rights system; protecting the Maya Q’eqchi’ communities of El Estor, their resources, and the local environment; handbook for conservationists: working to close the knowledge gap; law reform: working to change federal law concerning Indian and Alaska Native nations. Interns may assist with research and writing and provide support for briefings and events. Application deadline: July 1, 2013. For complete description and application instructions please click here. Grounded in rigorous research and best practice, the Changing Children’s Worlds Foundation offers meaningful, measurable and sustainable strategies and programs for those who care about children and youth, and for young people themselves. CCWF provides youth, adult caregivers and community and professional leaders the information, connections and tools they need to succeed. The United Nations Convention on the Rights of the Child (UNCRC) has been ratified (signed) by every country in the world, except the United States and Somalia. Learn more about the campaign for US ratification, about the international standards of child protection and children’s rights established in the UNCRC and about international best practice in a variety of fields. This internship would help the applicant gain a broader understanding of international standards and individual nation compliance to the UNCRC. If your interest lies in international law, children’s rights or best practice standards, this internship provides a great opportunity to study all three. Applications accepted on a rolling basis. For complete description and application instructions please click here. One of the biggest human rights issues facing Cameroon today is prisoners’ rights. Accused and convicted inmates of the country’s prisons and police/gendarmerie cells suffer from the numerous life-threatening conditions of these facilities, including insufficient food provisions, inadequate medical attention, overcrowding, and violent and degrading treatment at the hands of guards, police, and other staff members. These conditions are compounded by the degeneration of criminal procedure standards: arbitrary bail, judicial inefficiency, and even administrative errors resulting in lost paperwork and forgotten prisoners. Resolving these issues has been a priority for the Global Conscience Initiative since the beginning of the organization, resulting in the formation of the Prisoners’ Rights Project (PRP) in 2008. The PRP aimed to improve prison conditions and protect inmates’ rights by collecting data on incarcerated persons, organizing education and training sessions for prison workers, mobilising and coordinating civil society to support prison communities, and providing legal assistance and representation to indigent detainees and prisoners. For a complete description and applications instructions please click here. The Center for International Environmental Law (CIEL) is a non-profit, public interest environmental group committed to strengthening and using international law & institutions in order to protect the environment, promote human health, and ensure a just and sustainable society. We also assist non-governmental organizations and governments in developing countries who are working to strengthen their systems of environmental law. CIEL offers exceptional opportunities for aspiring lawyers who wish to become involved with cutting-edge international environmental law. Our internship program is a critically important component of the work of our organization. Many of our program areas explore innovative developments in international environmental law, so there is a great need for thoughtful and creative research and analysis. The fellowship program provides CIEL with a vitally important base of assistance in our work. Responsibilities include: researching and writing about areas of international law and policy; assisting with policy analysis and advocacy; attending meetings and conferences; assisting with the production of CIEL publications; and otherwise working closely with CIEL staff on various projects. As such, we are currently searching for law students or graduates for our Fall 2013 session (roughly September through December, with a minimum commitment period of ten weeks). The position can be either full or part-time. To apply for internships or fellowships in Washington, D.C., please send a cover letter, resume, and short writing sample to info@ciel.org. Please sure to specify that you are applying for our Fall 2013 session (we can also consider applicants for Spring 2014). Move to Amend is the the national campaign to Abolish Corporate Personhood and Defend Democracy. We are mobilizing a movement to amend the US Constitution to establish that corporations are not people and that financial contributions to political campaigns are not free speech. Interns work out of the office of Democracy Unlimited in Eureka, CA – one of our Move to Amend founding organizations OR telecommute from your home/school. Move to Amend is seeking a Legal Intern to assist our Law & Research Team, which collaborates with and provides legal support for Move to Amend affiliate groups across the country. Please note that this is a unique opportunity that blends a legal practice with grassroots organizing for systemic change. We are committed to changing existing “settled law” as it relates to the role and functions of corporations in US society. For more about the internship click here. 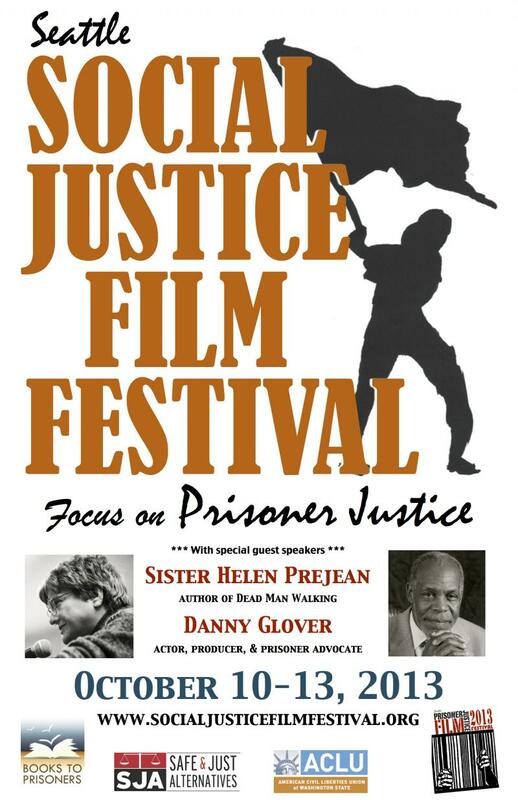 Social Justice Film Screenings Galore! Free and open to the public (donations accepted). On a journey deep inside the revolution of the heart that is erupting around the planet, acclaimed director Velcrow Ripper (Scared Sacred, Fierce Light) explores the growing realization that the dominant system of power is failing to provide us with health, happiness or meaning. The old paradigm that concentrates wealth, founded on the greed of the few, is causing economic and ecological collapse. The resulting crisis has become the catalyst for a profound awakening: millions of people are deciding that enough is enough – the time has come to create a new world, a world that works for all life. For complete film info click here. For more info on the October film fest click here. The demand in public defense is high, but it can be a challenge to find available positions. Equal Justice Works would like to be a bridge between public defender offices seeking talented new hires with law students and graduates such as you. Equal Justice Works is exploring different options to make this a reality. 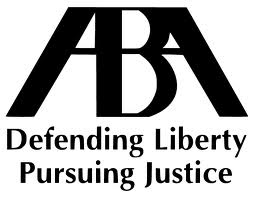 Please take the time to complete their survey, Public Defense Careers: Are You Trying to Become a Public Defender?, to inform their work and help address the challenges of entering this field. Where? University of Washington School of Law, W.H. Gates Hall, Room 117. For map and direction click here. Sponsored by the Washington State Access to Justice Board Law School Relations Fellowship Sub-Committee. Come learn more about the process of applying for post-graduate public interest law fellowships, including Equal Justice Works Fellowships, EJW AmeriCorps Legal Fellowships, Soros Open Society Institute, Georgetown Policy Fellowship and other opportunities. Learn how to research fellowships and hear from recipients about their experiences. The Consumer Financial Protection Bureau has launched some great resources on student debt and new tools to help keep your lenders and loan servicers accountable. Also check out their recent op-ed on how student debt drains our overall economy and what we can do about it. children. Recruits, trains, and mentors pro bono attorneys, and directly represents children in their cases before the immigration court and/or review boards. Must be fluent in Spanish. Applications accepted on a rolling basis. For complete application info please click here. The East Bay Community Law Center (EBCLC) seeks an exceptional individual to serve as a Racial Justice Senior Fellow in the Clean Slate Reentry Services Practice. The Senior Fellow will spend the majority of his/her time developing and bringing impact litigation designed to alleviate class-wide problems associated with the retention of criminal history information by public and private entities and the transmission to and use of such information by potential employers, licensing agencies, and other public and private entities. The litigation work will be done in collaboration with the Social Justice Law Project (SJLP), EBCLC’s partner in this effort and a pioneering organization in this arena. Additionally, the Fellow will continue and expand EBCLC’s efforts in clinical education excellence, deepen EBCLC’s reentry policy advocacy, and help coordinate and provide technical assistance and training to reentry legal services providers throughout California. This is a two-year Fellowship position with the possibility of continuation dependent on funding. Must have 5 + years of attorney experience. Spanish or Asian language skills desirable. For complete application info please click here. Applications accepted through July 14. The Center for Reproductive Rights is a non-profit legal advocacy organization dedicated to advancing reproductive freedom as a fundamental right that all governments are legally obligated to protect, respect, and fulfill. The Center’s domestic and international programs engage in litigation, policy analysis and advocacy, legal research, and public education seeking to achieve women’s equality in society and ensure that all women have access to appropriate and freely chosen reproductive health services. aw students are expected to have strong legal research and writing skills and an interest in gender/women’s issues and reproductive rights. Legal intern responsibilities include: monitoring and responding to legislative, regulatory, and other policy developments, including congressional hearings and markups, federal rulemakings, relevant litigation, and other events; in-depth legal and legislative research, analysis and drafting; and development and drafting of policy and advocacy materials, including bill analyses, fact sheets, and talking points, for use in lobbying activities and outreach. For complete application info please click here. Applications accepted on a rolling basis. The California Regional Office of Earthjustice is hiring law students to work as externs in our office during Fall 2013. In general, externs participate in the process of researching, investigating, preparing, and prosecuting lawsuits designed to protect the environment. Virtually all externs undertake legal research, write memoranda, and help evaluate factual issues. We rely heavily on externs for these tasks, placing a premium on careful, accurate, and self-directed work. Each extern is responsible for monitoring her/his own workload, and each staff attorney is responsible for supervising the work done on her/his cases and providing feedback to externs with whom the attorney works. Depending on the circumstances present at the time of the externship, externs may have the opportunity to attend client meetings, court appearances, and meetings with public agency representatives, as well as draft pleadings, briefs, and discovery documents. Externs are considered members of our staff, and as such, are invited to attend all staff meetings, office functions, etc. We have a casual office environment and are located in downtown San Francisco. Applications accepted on a rolling basis. For complete application instructions please click here. Snohomish County Public Defender Association will hire an entry-level attorney to represent indigent defendants on criminal charges in the county’s district court. Salary range $50-$60k. Please email resume and cover letter to Bill Jaquette, Snohomish County Public Defender Association, 1721 Hewitt Ave, Suite 200, Everett, WA, 98201. Applications accepted on a rolling basis through July 11. A must attend for anyone with educational debt planning to work or currently working for the government or a nonprofit, this webinar explains how you can benefit from income driven repayment plans, including President Obama’s new Pay As You Earn program, and exactly how Public Service Loan Forgiveness works. Learn more about EJW webinars here . A richly layered drama with a Turkish-German lesbian couple at its center. Deals with Turkish politics, immigration, and generational differences. Winner of Best Screenplay at 2007 Cannes Film Festival. 122-minutes, subtitles. Thursday, June 20, 7:30 pm. Door donation $3-$5.00. Dinner served at 6:30 pm for $8.50 donation. New Freeway Hall, 5018 Rainier Ave. S., Seattle. Hosted by Radical Women. Information: 206-722-6057, RWseattle@mindspring.com. Everyone welcome. Call in advance to arrange childcare. Wheelchair accessible. 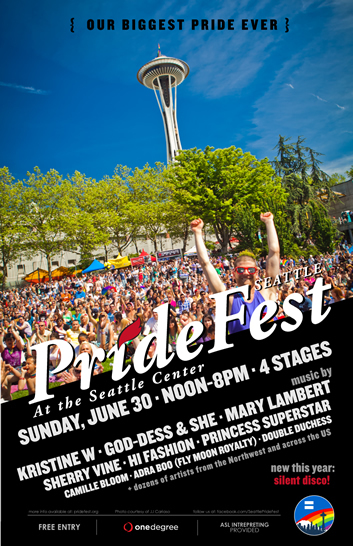 On Sunday, June 30 we’re proud to present the 7th Annual Seattle PrideFest at the Seattle Center. Now with FOUR stage plus a silent disco, this year’s celebration is worthy of all the gains in equality we’ve won over the last year. Join us immediately following the Downtown Pride Parade for a celebration like none other. You won’t want to miss it! For complete info click here. With Recess Monkies, Magicians, bounce houses, food, and more! Building One America’s Second National Summit for Inclusive Suburbs and Sustainable Regions will involve local leaders and federal policy makers to seek bipartisan solutions to the unique but common challenges around housing, schools and infrastructure facing America’s metropolitan regions and its diverse middle-class suburbs. Participants will include local elected and grassroots leaders from America’s diverse middle class suburban towns and school districts, scholars and policy experts, members of the Obama Administration and Congress. The summit will identify comprehensive solutions and build bipartisan support for meaningful action to stabilize and support inclusive middle-class communities and promote sustainable, economically competitive regions. Representatives from the Brookings Institution will present their findings on suburban poverty. Following the first-ever White House forum on suburbs in 2011, Building One America partnered with the White House last year to hold nine regional roundtable meetings. These discussions surfaced critical but common problems facing increasingly diverse middle class communities around public schools, water infrastructure, housing and transportation. This year’s summit fulfils commitments from the White House and Building One America to dig deeper into issues facing diverse communities and regions with members of Congress and relevant agency officials.